whilst retaining the original essence of the technique for the ultimate benefit of animals and people. This is a formal Ofqual regulated qualification (Level 3 Diploma). why should your work be any different? Has the voice of doubt given you all the excuses you need to keep your working life as a means to an end? Maybe you are already working in the animal industry yet have a feeling that something is missing? Do you believe that there is more to learn regarding the animal/human relationship? Do you struggle to help the animal when you know it’s the owner’s process as well? When an animal or a person is over-thinking this can create emotional imbalances, making it more difficult to understand or connect with each other. This can have a negative impact on the relationship and ultimately may lower trust levels. Anxious over-thinking is one of the main causes for so called “behavioural problems” in both animals and people. This online Ofqual recognised qualification, has been designed to give you the optimum learning experience and provides a range of teaching resources including; video tutorials, audio seminars and written materials. It also provides access to The Trust Technique® Members’ chat rooms and webinars. 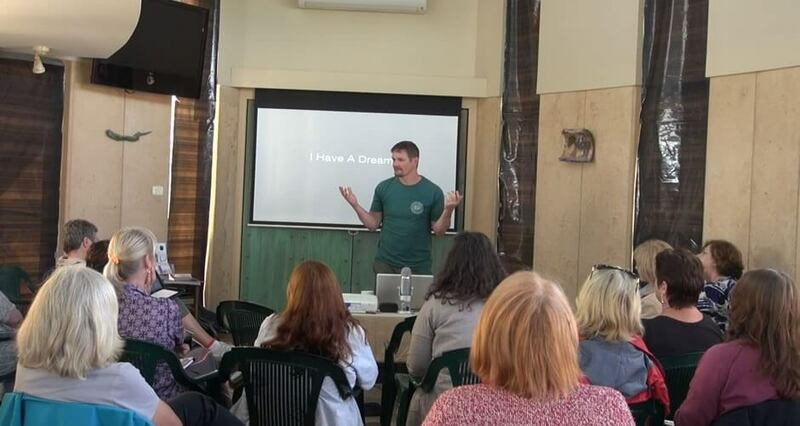 James will share his knowledge and practical application, in the most detailed way possible, showing how The Trust Technique® can be applied with all animals, using examples of video footage, (filmed from around the world), whilst on his travels with his partner Shelley. This Level 3 Diploma provides a simple to use but sophisticated online learning platform, designed to enhance your knowledge of the principles of The Trust Technique® and provide significant opportunities to apply this knowledge through practical experience. As a learner, you will also be equipped with a set Trust Technique® Consultation Structure, to enable you to share what you have learnt with clients; safely, legally and effectively. Finally, the social functions of this course will allow learners to connect to other Trust Technique® learners and Practitioners, helping you to grow within a purposeful community as well as providing additional support for you as you embark on your new career as a professional Trust Technique® Practitioner. Develop your own professional offer, supporting the health and well-being of people with their animals, in a direction that is more explicitly Mindfulness led. This Level 3 Diploma is designed to teach you the necessary steps to enable you to become a fully qualified Trust Technique® Practitioner, so that you can help both animals and people find confidence and trust, within a practice of mindfulness. Dependent on how much time the student can commit to the qualification. Two examples below, which include the maximum and minimum time for completion. Once qualified the Trust Technique® Practitioner will continue to be supported in their on-going professional development (CPD), via The Trust Technique® website’s social media functions, which includes regular webinars, chat rooms and access to new content. Provide opportunities to develop your public practice (once qualified); safely, legally and effectively. For the Domestic Animal category- Learners will study and demonstrate working with dogs to qualify for all animals in the domestic category. For the Large Animal category – Learners will study and demonstrate working with horses to qualify for all animals in the domestic category. Please note: This video course is the Foundation programme for the Trust Technique®. The videos and tutorials, clearly describe, in a simple to use way, how to carry out The Trust Technique® with animals that you are responsible for. Your understanding and practical application of the key teaching points shown in the video course, are essential if you wish to successfully advance to the next level of The Trust Technique® Practitioner. For the Large Animal category – Learners will study and demonstrate working with horses to qualify for all animals in the large animal category. Dogs and Horses if enrolled in both Module 5A and 5B. 24 Gaining Experience sessions with 4 different animals (that are not yours). If you are enrolled on Module 5A (Domestic Animals) – you will be carrying out 6 sessions with 4 individual dogs. If you are enrolled on Module 5B (Large Animals) – you will be carrying out 6 sessions with 4 individual horses. 24 sets of Gaining Experience paperwork for each of the modules you are enrolled on. 10 sets of Consultation paperwork (working with a client and a client’s animal). If you are enrolled on Module 5A (Domestic Animals) – you will carry out 10 Consultations with a client and the client’s dog. If you are enrolled on Module 5B (Large Animals) – you will carry out 10 Consultations with a client and the client’s horse. A one hour video of a Trust Technique® Consultation. If you are enrolled on Module 5A (Domestic Animals) – the video will be with a client and the client’s dog. 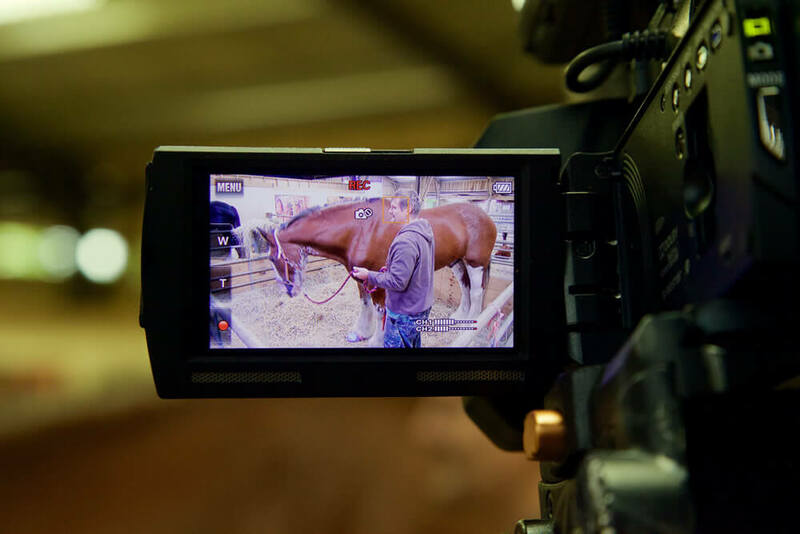 If you are enrolled on Module 5B (Large Animals) – the video will be with a client and the client’s horse. Full details of assessment tasks will be provided once successful enrolment onto the qualification has been confirmed. 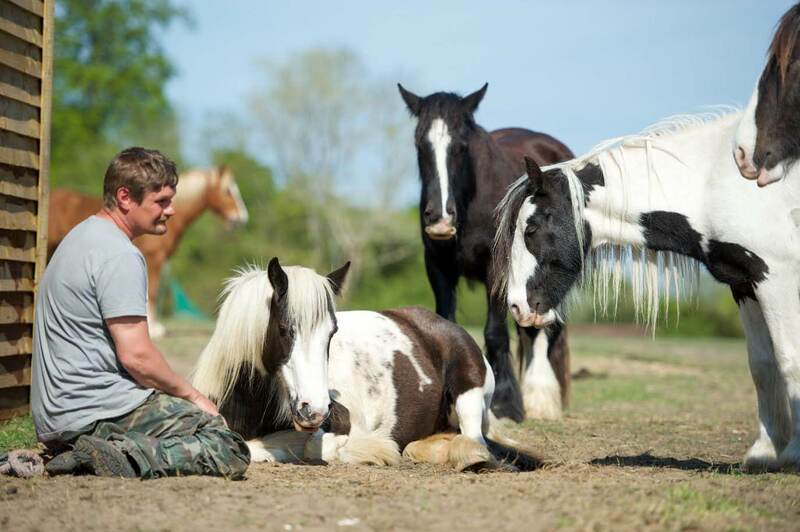 Learners will be awarded a Level 3 Diploma in Mindfulness for people with their animals – Trust Technique Practitioner; once our Awarding Organisation (Crossfields Institute) and their External Quality Assurance Team have confirmed that a learner has successfully met and achieved all of the requirements for this award. All learners will be required to complete video assessments and will, therefore, need to have access to a device such as a GoPro action camera (or similar) to record their own sessions and consultations. Filming equipment is not supplied by The Trust Technique® Centre and as such is not included in the qualification fees stated above. Please note that your application is subject to meeting the qualification entry requirements and Trust Technique® Centre approval processes. So sorry but our minimum age is 18 for this qualification. Please do contact us and we will be happy to help you plan your qualification when you are at the required age. 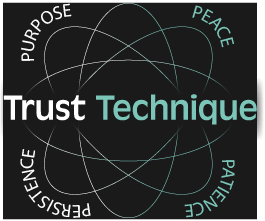 The Trust Technique video course is the prerequisite for the practitioner. The qualification requires that you have this pre knowledge and references the course. With us or other organisations, which are relative to this type of work? The Trust Technique® is suitable for many types of animals and has already been used to help horses, dogs, cats, goats, cows, llamas, lions, bears etc. The Level 3 Diploma - Trust Technique® Practitioner qualification. For the Large Animal category - Learners will study and demonstrate working with horses to qualify for all animals in the domestic category. Dogs and Horses if enrolled onto both Module 5A and 5B. Have you been professionally been working with dog/s? Have you been in the responsible care of a dog/s? This is only a requirement if you have not been working professionally with dogs for less than a year. Have you been professionally been working with horse/s? Have you been in the responsible care of a horse/s? The Trust Technique® helps people as much as it helps animals. What experience do you have in supporting people through a process of change? This could be healing methods, counselling, coaching etc. Have you been professionally been working with people. This can be a combination of different methods. Please include any qualifications; dates qualified and any membership associations you currently belong to. It is an honour and pleasure to share my life’s work with you. I believe there has never been a better time to help animals and people. My technique focuses on the importance of a peaceful relationships; breaking down forced limitations and inspiring new and exciting possibilities. The animal/human connection, when enhanced through trust and confidence, contains a beauty that changes both animals’ and people’s lives forever. Experience, learn and share – be global pioneers of positive change. How long does the qualification take? however, there is an extension policy for an additional time if a learner requires. Why are there 2 animal categories? The Trust Technique works with all animals. We have created 2 categories based on the learners animal experience. The domestic animal is those that are living in a home, for example, dogs cats rabbits etc.. Large animals include horses, farm animals and captive animals. For assessment purposes, working with dogs for domestic and horses for large animals. Mainly because they can be worked with on leads and halters, demonstrating this gives us the confidence that the Practitioner will be able to work with animals that do not need the lead or halter. We do require that all learners have experience with each category that they will be working with. 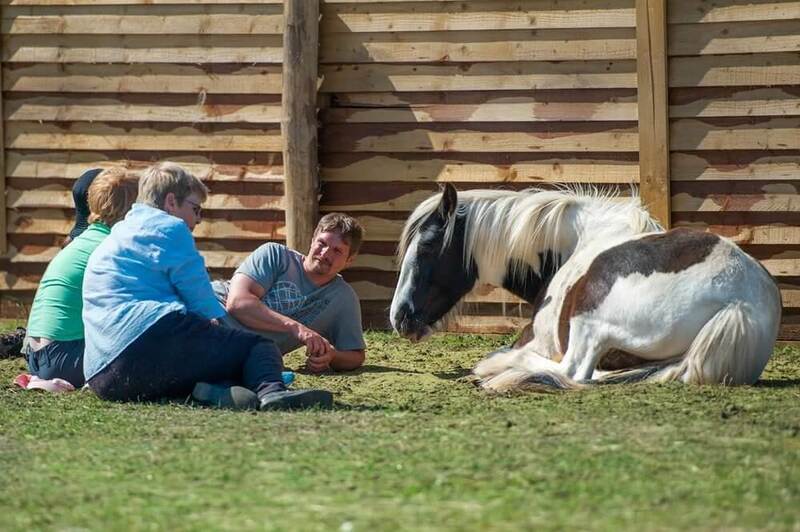 Horse experience for large animals and dog experience with domestic. What if I wanted to add an animal category at a later date? There are 2 ways that you can add the extra category to your qualification. 2 Qualify for one category and then re-enter the content to complete the second category. This means that you have already been qualified for one and then you re-enter the qualification to complete the second category. This method means that you will be registering a second time and this requires a second application fee and course fee. This option would be for someone who may not have had the necessary experience for the second category when they first applied. Yet since that time now have the experience necessary for the second category. This will require a full re-registration including the fee plus the full course. 10 x consultations for each category. If completing both categories then this would be 20 sessions 10 with dogs and 10 with horses. At this point, learners are working with both the human and the animal. We require the best sessions to be videoed and submitted to us as the final assessment. What camera do you recommend for the videoing of assessments? Learners will need to video their consultations with the client and their animal. The camera will need to be able to record for over 1.5 hours, have good visual and audio. We recommend Go Pro sessions and a chest strap, this allows the learner to wear the camera so that we can see the session from the learner’s view. Having a good quality camera can really enhance your practice as you will also be able to take videos of those gentle touching moments and can be used for promotion of your practice. Do assessments need to be done in english? Yes, assessments do need to be in English. If the learner is in a country that does not speak English, please find clients that can converse in English. Otherwise, the videos will need to be subtitled which would be a lengthy process for the learner. We are very excited about having bilingual learners as the opportunity for them is huge! It maybe harder for assessments but after qualification it means that the Trust Technique can be delivered to a larger audience. Are you planning on doing more qualifications? Yes, we are looking at the next level of qualification is one of a coach. This will be exploring the rehabilitation of both animals and people combined healing. There is a great need for this level of healing worldwide. We will be looking at qualified practitioners who are ready and willing to take the Trust technique to this next level. This level 3 diploma is regulated by Ofqual, which is one of the leading qualification authorities in the UK. The UK has a well-deserved reputation worldwide for providing high quality and well-respected higher education. The growth of the internet has enabled UK institutions to make information on their courses available to a global audience. This growth and the need for more flexible provision, opening higher education up to a wider group of people means that many universities and colleges now offer their degrees through distance learning. Can I get insurance in my country? We have our own block scheme for any learners that are within Europe. We also have the membership for international insurance.